The digital insulation tester model INS-6005kV is one of Tinsleys’ cutting edge insulation analyser equipment and it is one of the most complete and sophisticated available in the international market. A software allows for further analysis of tests results, including features such as graphical representation and automatic report generation. Its proven technology provides safe, reliable and accurate measurements of insulation resistances up to 5TΩ, with 4 pre-selected test voltages, 500V - 1kV - 2.5kV - 5kV. Other test voltages may be selected in steps of 25V, 100V or 500V. A state-of-the-art microprocessor controls the equipment operation and enables the incorporation of advanced features which make measurements easier: auto-range selection, 4000 readings memory, AC/DC voltmeter, automatic measurement of Absorption Index and Polarization Index, leakage current and capacitance measurement, timer enabling programming of test duration, configurable Pass-Fail test, Step voltage test, real time clock and calendar. Measured values are transmitted through the USB interface and are printed in the built-in printer as a registration of the performed test. Furthermore, the measured values are stored in a nonvolatile internal memory. Up to 4000 measurements may be stored, to be transferred afterward to a computer running the MegaLogg2 program. This software allows a further analysis of the test results, including a graphical representation and automatic report generation. The real time clock and calendar, and the sequential test number, facilitates the identification of each test, and the organization of a predictive maintenance system by trend analysis. INS-6005kV is powered using a rechargeable battery. The cabinet is strong and lightweight, easy to carry, impact resistant and suitable to be used under severe weather conditions. 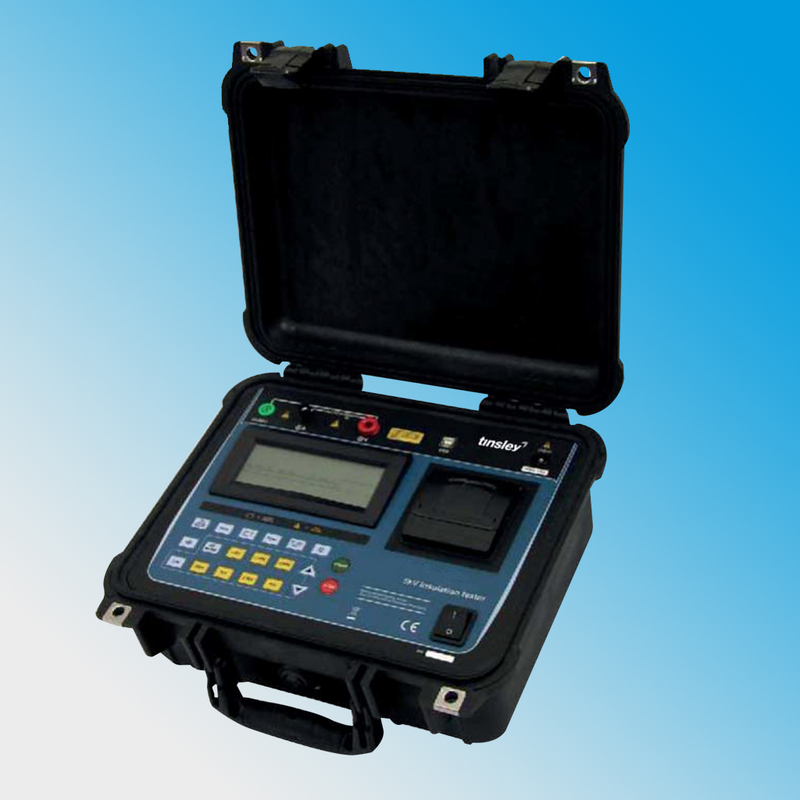 Thus the insulation tester supplies very reliable and accurate measurements both in laboratory and out in the field. Download the data sheet above for the full specifications.